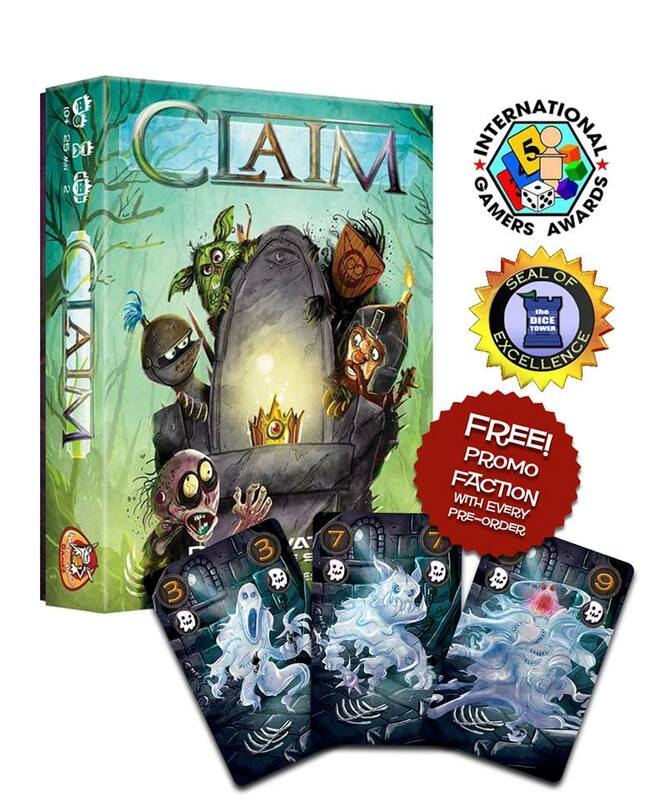 Claim is a fast-paced, trick-taking card game first launched in Europe back in 2017. Now Deep Water Games have announced that Claim will be finally making its way into the North American and Australian market in 2019. Pre-orders will also receive a bonus ghost faction which is currently unavailable in European markets. There's no sign of Claim 2 being released outside of Europe yet, sadly, but a lot of US backers will be excited to finally get their hands on a copy of this distinct game. So if you think you can take the throne, state your claim and pre-order now! Have you played Claim yet? "Claim will be finally making its way into the North American and Australian market in 2019!"